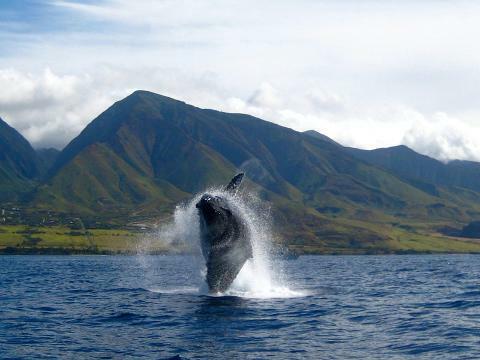 Every year between December and April, more than 8,000 Humpback whales journey over 3,500 miles to Hawaii where they congregate to breed, calf and nurse their young.Our 2.5 hour Whale Watching Excursion offers you a rare opportunity to view and experience this phenomenon. Our award winning marine life naturalist will astound you with facts about these gentle giants as they play, court and teach their young. 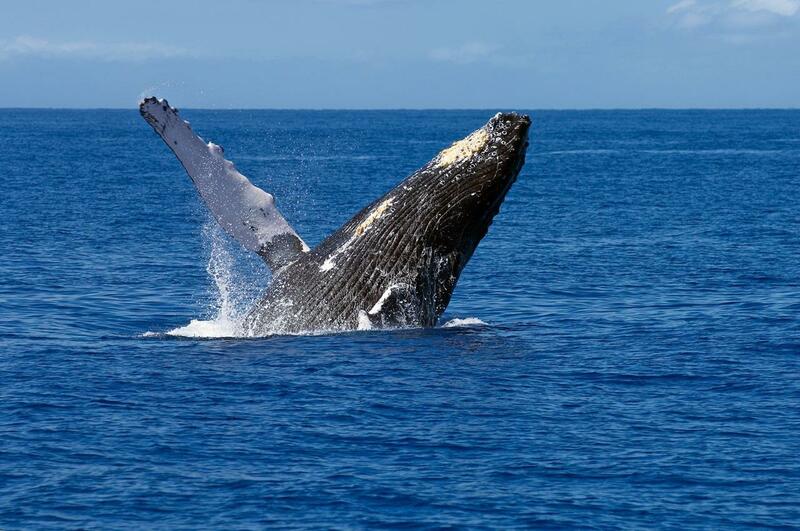 You’ll hear singing Humpback whales through our underwater hydrophones, and you may also see Spinner Dolphins, Pilot and Sperm Whales, Manta Rays, Sea Turtles and more.Cruise in Comfort! Our 65′ catamaran has lots of walk-around room, comfortable seating and plenty of shade. The cruise includes light snacks, island juices, sodas, Kona coffee, assorted teas, hot chocolate and our premium cash bar. We guarantee whale sightings or you can come again FREE!